We wanted to provide a more concrete answer as to what our plans are moving forward. As you know, we've been struggling hard to resolve some fundamental issues with the server and with the site itself - sitewide image glitches and backend brick walls have greeted us at every turn, and we've still yet to resolve them after months of research and effort. Due to our own personal finnancial issues, we have little choice but to place Novilar in something of a hiatus as we work to pay our basic bills. Novilar is quite an achievement, for all of us, and it's not going away - we don't want such a precious site to die. We're simply unable to dedicate the hours it needs at this time. We don't intend for this to last forever, though! We want to see Novilar finished one day, just can't promise to dedicate that time today. Bills have to be paid, and we can't put off our IRL work any longer. We thank you all for sticking with us through the ups and downs. Please do note that when we return, ALL patreon items will be delivered, no matter how long it takes to do so, we swear on our honor. You're of course free to discontinue, and we would expect you to - but if there's even just one patron who chooses to remain a patron through the hiatus, that user will get each and every month's custom item(s) sent in bulk as promised. We would deliver the rewards up until now, but the backend bugs prevent us from doing so. Welcome to August! We can't believe the next festival is already here! Without further delays we'd like to roll (or rather... slither) right into the Snake Festivities. And what better way to celebrate Snake than with... well, more snakes! Three snake minipets have slithered into our reptile-loving hearts. Two can be purchased in the Festival Stall, and the third can be crafted by Scholar-level players of any profession. And we'd also like to formally announce the winner of the Skin of the Month Contest. Congrats to IrritatorRaji (#918) for their gorgeous Deluxe Rabbit Skin, based on the fabled Rabbit in the Moon! You can pick it up anytime in the Festival Stall this month, after which it will retire forever. Want to join in the fun with your own creative snake-themed skin? This month's skin of the month contest has just begun! Head over to this forum to submit your entries. New Apparel helps you battle the elements. Everybody wants to be a... Fox! To help us celebrate the Festival of the Fox, fluffy fox tails (and ears) for your Human Avatar are now stocking in the Festival Stall shop. But maybe you also need some equipment for your travels? We've got you covered! These sharp Swords are sure to cut through any cactus that stands in your way. If that's not enough, there are many more new apparel items also stocking in the Festival Stall! Get dressed up and head out to the Desert with us as we enjoy the summer heat and play in the sand. We're all still thrilled about the brand new rabbit species, but we can't forget about the Fox Guardian! This is his Festival, after all. Please enjoy a few new desert-themed updates as we celebrate July, starting with a larger feature of the most recent Skin of the Month winner. Wonderful work, MasterDaye (#2813)! Look at those cute little tails... I wonder what it looks like under that mask! And, as is tradition, three new Option Steps have also been added to Desert explorations. You may now encounter some cacti, a troupe of camels, or a scared little jerboa! We hope this helps spice things up while you cross the endless desert sands of Novilar. Welcome Rabbits to the pet lineup! The Fox Guardian trots forward and sits before his captive audience, silencing the crowd's murmurs with a calm look. He observes the eager public for a moment before speaking. "You have been patient, logical, willing to think in the long term. Like me." He licks a bit of sand off his paw. "These traits should be rewarded, and I am certainly willing to reward such a community as this." He presents a long-eared rabbit from behind his fluffed tail, its nose quivering. "This is my reward to you, for I have discovered these rabbits occupying parts of my Desert. I have blessed them with markings, and they are now yours to keep. Treat them well." A New Secondary Pet Species... Rabbits have arrived! These lovable bunnies join Cats as a "secondary" pet species in Novilar, which means they are non-magical and cannot be corrupted (and will refuse to wear pet apparel that was not made specifically for them). You can create rabbits using a Rabbit Totem or Mythical Rabbit Totem, or purchase baby bunnies from another player. Fox will sometimes drop basic rabbit totems from Feather Offerings at his Altar, and as a reward for completing his daily Guardian Quests. 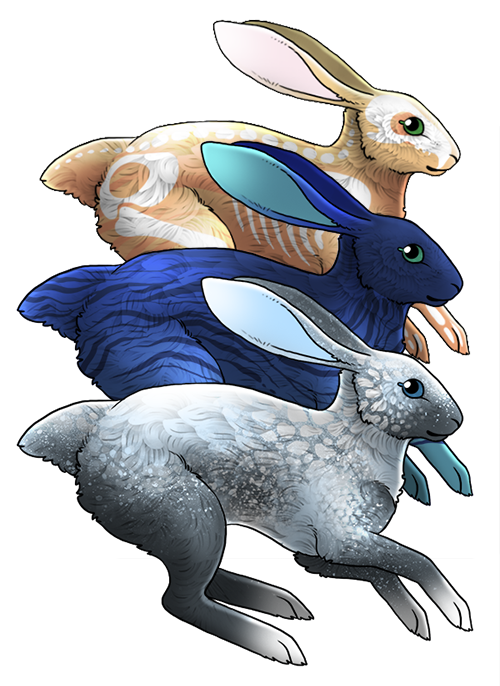 Mythical Rabbit Totems can only be purchased in the Crystal Exchange during the month of July, or during special event sales (Black Friday). This month's new Skin of the Month contest is on our new rabbit base... check it out! Everyone give a round of applause to last month's winner MasterDaye who received an exclusive contest icon, two copies of the winning skin, and 6 crystals (plus two points towards a shiny new account trophy). 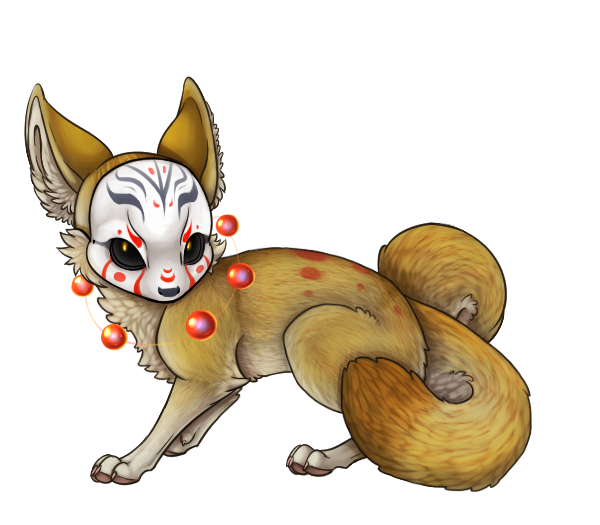 You can pick up their adorable Kabuki Fennec Skin in the festival stall this month only. Hurry and pick one up before it retires forever on July 31st! We are thrilled to announce two new Mods to Novilar: Petraea (#2308) and Acorn (#1708)! They will be around to help out on the forums and in Chat with any concerns or newbie questions. You'll be able to tell them apart in Chat with their little outlined star, and in the forums with their official Mod designation. In other news, the Novilar 2.0 coding process is going well so far! 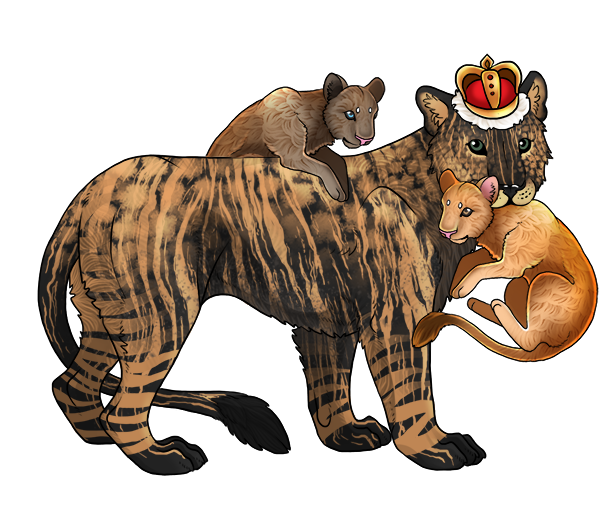 We still have lots of work to do, but we know you'll love the updates we're making to markings, pet creation, the site layout, and much more. Hello everyone! We have a couple of news items to share with you today. This first announcement a big one, so stick with me. Novilar has been a work in progress for over a year now, and while we've made incredible progress in all this time, it's been a learning experience as well! As a result, we've been able to look over some of the older lines of code and say, "There's a better way to code that. We can do better, make it cleaner and faster for everyone." With that in mind, we're going back and making major overhauls to almost the entire site's code! But what does that mean for you? In the short term, it means fewer visible updates until the rollout. In the long term, it means a bigger, healthier, all-around better Novilar! Miranda (#1) and runeowl (#2) have been hard at work on the Test Server, making fixes to old code and developing new, promised features. Unfortunately, the coding revamp is so different in the backend that it's incompatible with our Live Server, so the revamp rollout will have to happen all at once, instead of a patchwork of "band-aid" fixes that we have been doing up until this point. It will take a little while to get everything finished, but we are eager to share the New & Improved Novilar with you! New features that are already being developed on the Test Server are customizable site layouts and NPC quests / dialogue. We've finished moving Novilar back to our original "old" windowed chat! We appreciate your patience with the trial update, but it simply wasn't quite ready to be used permanently quite yet. You can now visit Chat any time by going to Forums -> Chat. See you there! There are a few forum threads I'd also like to call your attention to! Happy Wednesday! We are excited to announce several new items themed around this month's Guardian. As you know, Lion rules over the Savannah, so we've brought forth several new Human Avatar Apparel options that may assist in your summertime travels in the Festival Stall. There are also three new craftable items! You can create a frisky Lion Cub Minipet, a Lion's Tail apparel item, or a Dry Breeze to bring the dry air of the savannah with you wherever you go. Rewards have just been delivered for last month's Patreons! Thank you everyone so much for your support - we hope you enjoy your new skins and items. For everyone else, the item dropping from the Patreon Chest at the bank this month is the Navy Pomander (pet apparel). If you're a Premium user, also don't forget to open your Premium Chest while you're collecting your interest! Anything from a cache of items to a mythical totem can be dropped from the Premium Chest... cross your fingers and roll the dice! And oooh, it's a double item month for current Patreons! Whoot! Enjoy your new Dark Lion Cub and White Lion Cub minipets. Welcome to June! The sun is blazing as we take to the Savannah to celebrate Lion and his majestic (and at times, dangerous) region within Novilar. Three new option events have been released in Lion's realm! Explore the Savannah to encounter an aardwolf, a rather dirty zebra, or a mysterious tree. These contain a few new items as well, so choose wisely, and you may take home a rare Beetle minipet (hint: I hear they're arboreal) or a wheat stalk HA wearable. We've also added a new perk to winning a Skin of the Month contest. Not only will each winner received 6 crystals and the exclusive icon, winning more than once can now grant you an awesome account trophy! Check out this thread for the next skin contest and more details on the shiny new trophies. Chat features plus cute otters! 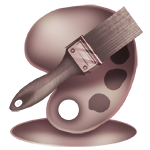 Just to keep you all updated, we've made a bit of progress with Chat and much-needed site Bug Fixes. Everyone can now toggle the new Chat on and off via the Forum Settings page (under the "Forums" tab)! This is great for those who might want to check in to chat every once in a while, but not receive notifications all the time while they play. But onto a more fun update! Two new Crafting Recipes have been released. Crafting Level 3 (Practitioner) players of all professions can create two adorable new Otter Pup minipets! Awww, look, they're cuddling their little sea shells.